Elegant finishing touch to organza favor bag! 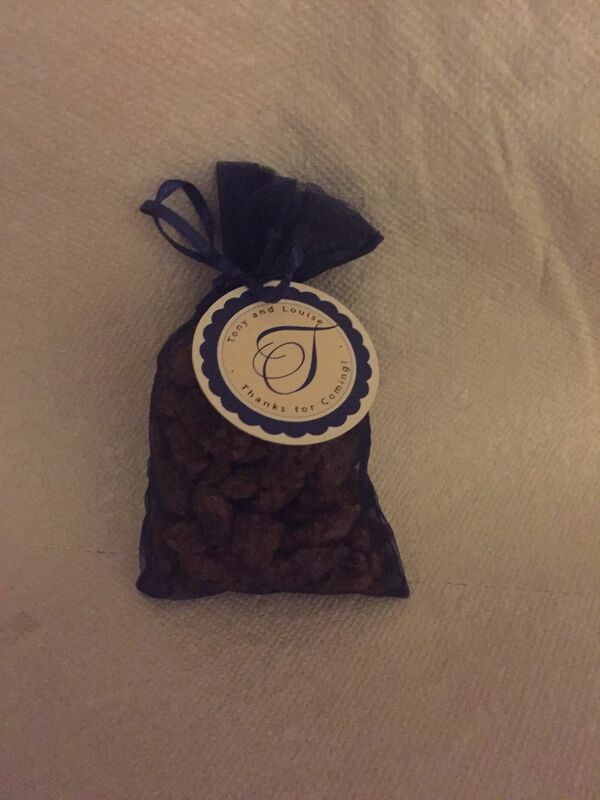 I tied the tags to the medium navy blue organza favor bag and filled the bags with home made candied pecans! It completed the look of the favor bags. I had so many compliments! I choose the navy bags and the printing on the tag was navy and beige, so they completed the look of the table setting which had navy napkins and beige table cloth. Elegant! Loved them, would use them again. I used this product for my niece bridal shower and my daughter's baby shower they were a big hit. I was looking for a personalized tag on a center piece. This was exactly what I was looking for and great quality. Loved the tags, exactly what we wanted! We used these tags for our wedding favors and they added a great personal touch. Prompt delivery and excellent quality. Would definetly order them again! Q:How many tags are included in a sheet? A:There are 12 tags per sheet. Q:Are these tags double sided? If not, are any of your tags printed double sided? A:At this time, we do not carry any double-sided tags. 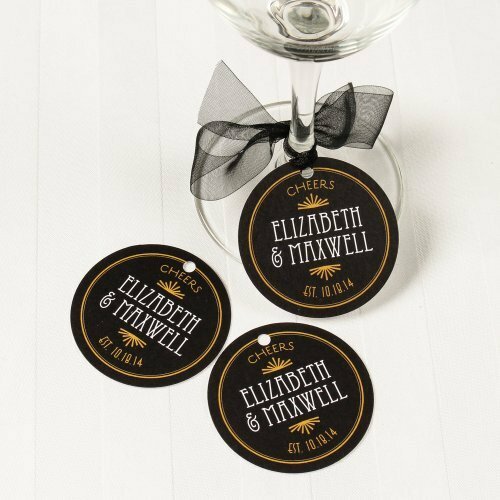 We can't quite put our finger on it, but there's something about the shape of our personalized round wedding favor gift tags that adds an undeniably warm, welcoming feel to wedding favors packaging. Just see for yourself! Take your pick of designs and colors to create the perfect match for your wedding colors and theme. Then personalize tags with the couple's names and the wedding date or a special "thank you" message. Tags arrive cut and hole punched.